In recent years, Dubai has been making tremendous efforts to become a digitally equipped city – Smart City. With its goal to become paperless for all transactions by 2020, mobile wallet is gaining significant traction to enable more convenience and a secure way to pay. HSBC, one of the most competitive banks in the region, was up against multiple competitor offers during the launch of its Apple Pay. So, the bank needed to break the clutter and be heard. 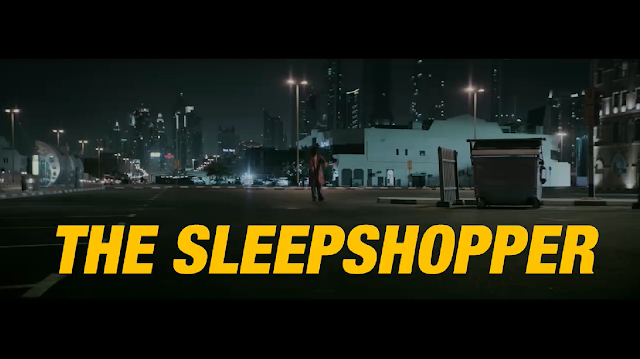 ‘The SleepShopper’ campaign does exactly that while introducing Apple Pay and generating awareness. Aimed at the tech-savvy generation, the film depicts the subconscious journey of a sleepwalker who is on his supermarket shopping spree, late at night. After selecting his everyday items such as cereal, milk and eggs, he pays for them intuitively using Apple Pay leaving the supermarket employee and his co-worker in sheer amazement and disbelief. This quirky yet informative film smartly dramatises the effortless and smooth process of Apply Pay that even goes unnoticed by its user.